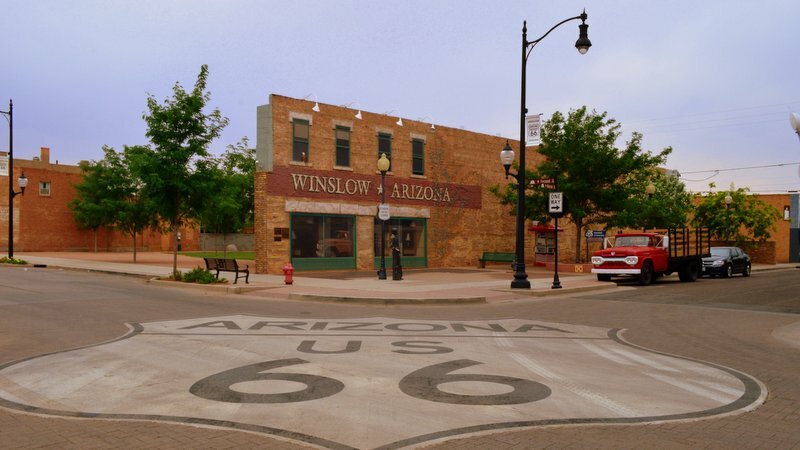 Winslow Arizona, one of the places to travel on Route 66. 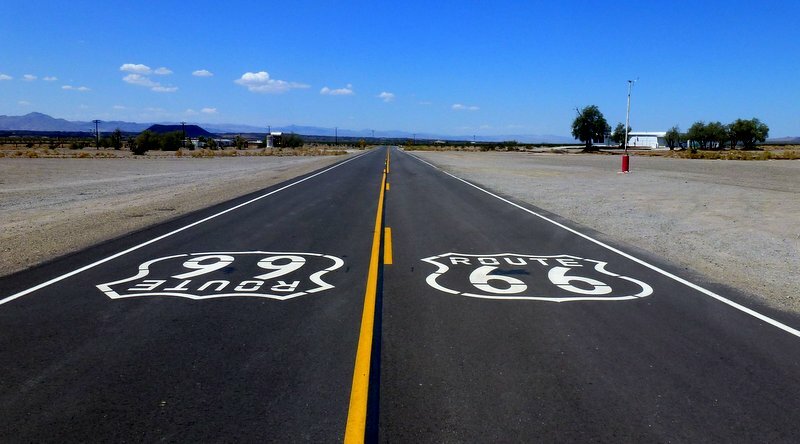 Planning to Travel on Route 66? Route 66 once went through the states of Illinois, Missouri, Kansas, Oklahoma, Texas, New Mexico, Arizona and California. But the completion of Interstate 40 changed all of that. And once thriving areas on Route 66 became ghost towns virtually overnight. Examples of such towns include Amboy, California; Ash Fork, Arizona; Gallup, New Mexico and many others. But something changed. People became interested about American nostalgia. And in particular, they became interested in folklore on America’s road, Route 66. Some towns, like Seligman, Winslow and Williams in Arizona are capitalizing and even flourishing on their colorful past. Such places helped to increase public awareness on all things associated with Route 66. Popular culture has also help to promote interest in Route 66 for some time now. The TV series Route 66 and the classic song “Get Your Kicks on Route 66” helped to popularize America’s Mother Road during the 60s. The photo above commemorates the song by The Eagles, “Standing on the Corner.” Here supposedly one member of the famous band was “standing on the corner in Winslow, Arizona.” Winslow was once a main stop along the Santa Fe railroad line along Route 66. More recently, movies like the popular Disney animated movie “Cars,” which depicted the trials of a fictionalized town, Radiator Springs, on Route 66, have added to the area’s folklore. And of course, Panda Travel ®, one of Hawaii’s Best travel agencies as recognized by the Honolulu Star Advertiser, can take you to the Mother Road, Route 66. We suggest we take you to Las Vegas or Los Angeles in a nicely priced vacation package as a good starting point.